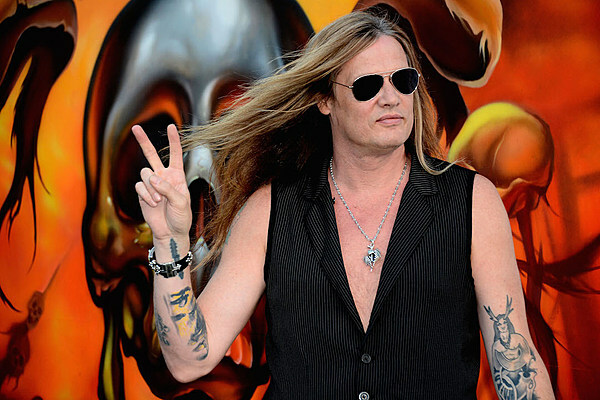 Sebastian Bach hits Rams Head Live on his world tour. The night started with local band, Aries, covering some Aerosmith to get everyone in the mood. A combo of originals and covers got the crowd pumped for what the night had in store. Aries front man, Rob Bradley pushed through a bit of vocal fatigue to scream his way into Bach’s fans hearts. The band of young twenty-somethings had a lot to prove, stepping out ahead of Sebastian Bach, but they won the crowd over immediately and sustained through their set. Though they are young, their sound is reminiscent of 80’s hair bands. Sean Rhodes was a crowd favorite and standout, with his riffs and energetic lead on guitar. They’re a fresh band and definitely worth going to see live. Their debut album A Time To Kill” is available for purchase on iTunes and their website – www.ariesrocks.com. Also like them on Facebook. We Love The Underground took to the stage like a fish to water. Front man Brad Cox makes the stage his own and leads the band and the crowd down the rabbit hole. The band works as a cohesive unit to pump out a solid song. The crowd ate it up and with all originals in their set (one cover at the end) that can be a high mountain to climb. Their website (http://www.welovetheunderground.com) is just for buying one of their two CDs. Check them out on Facebook for performance dates! Sebastian Bach came out, bounding onto stage and the crowd was thrilled! Everyone cheered and crowed as he performed a high energy set. There was a lot of head banging and a ton of sweat, and a trademark spit take onto the crowd. I have had the immense pleasure of seeing Bach perform in the title role of Jekyll and Hyde on Broadway and as Riff Raff in The Rocky Horror Show a few years later, also on Broadway. Sadly, I missed his turn as Jesus in “Jesus Christ Superstar”, but fulfilled a life long dream of seeing him perform live, doing what he’s known for…belting out with fierce vibrato and intense passion! He performed 18 to Life to perfection, among others and of course saved I Remember You for later in the night. He had great flow to the performance and I love that he actually spoke to the audience between every song. He really makes it a personable show, which I wasn’t expecting. Whether you have seen him live or not, in any arena, this is definitely a great concert to see because there is only one Sebastian Bach! For tour info or more about him, go to www.sebastianbach.com and as always, follow him on Twitter and Like him on Facebook!